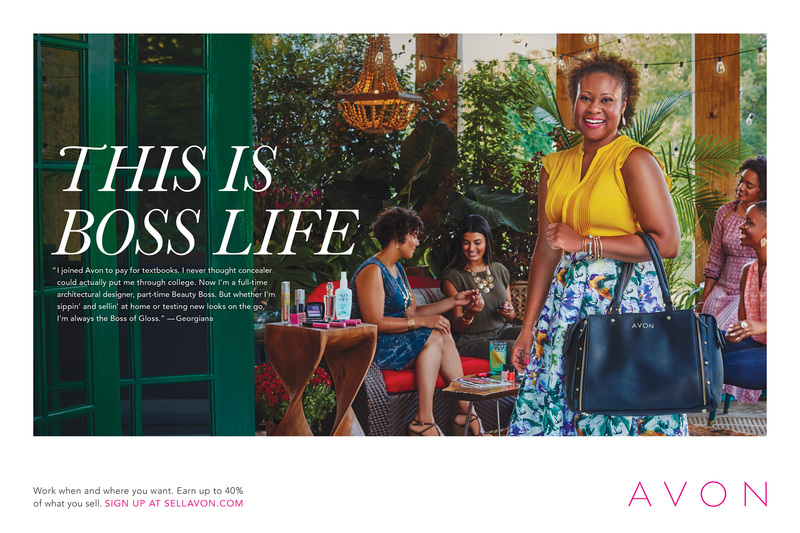 New Avon LLC (“Avon”), the social selling company that has empowered women for over a century, announced the launch of a bold new advertising campaign - “This is Boss Life” - which celebrates the flexibility, freedom and financial opportunity of becoming an Avon Representative. 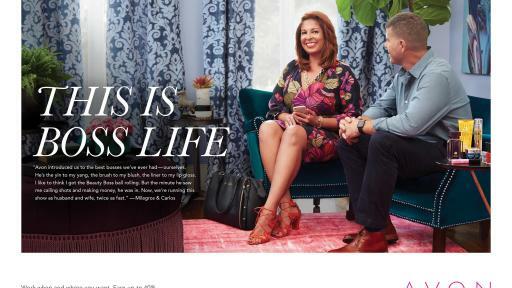 Designed to drive Representative recruitment and ignite passion for the Avon brand, “This is Boss Life” will run on national broadcast, digital, print and radio media in the U.S. beginning in October. The Momtrepreneur: For Avon Representative Lydia, mother of two girls, every day can be take-your-daughters-to-work-day. Lydia says, “Now my girls say they want to be ‘ Boss’ when they grow up.” Lydia has found success without having to sacrifice time with family. The campaign was created in partnership with female-owned advertising agency TERRI & SANDY. “Avon has been enabling women to gain financial security since 1886, 34 years before women had won the right to vote,” said Terri Meyer, Co-Founder. 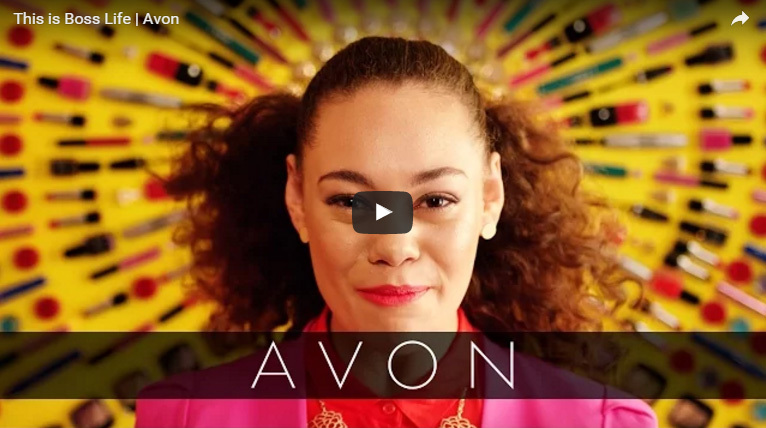 “We wanted to leverage what’s already in the brand’s DNA – strong, confident, and successful female entrepreneurs, and showcase the flexible earnings opportunity that Avon makes possible.” Horizon Media led the media planning and buying. 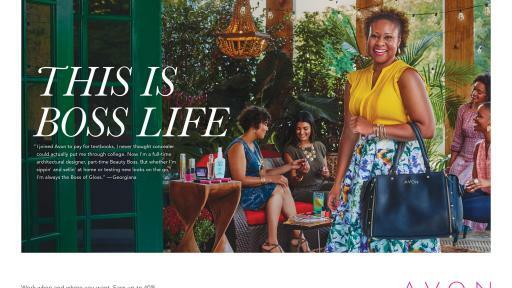 Avon’s new campaign debuted to thousands of Representatives across the U.S. in a Facebook event hosted by President, Social Selling for New Avon LLC, Betty Palm on October 6. The :60 second digital, and :30 broadcast and radio ads began airing on October 7, and print ads will be seen in November and December issues of women’s magazines. Avon’s social and digital channels will be extending the “This is Boss Life” campaign message with custom social media filters, YouTube videos and more. Those interested in living the Avon Boss Life can learn more on the Avon Blog and sign up at sellavon.com. New Avon LLC (“Avon”) is the leading social selling beauty company in North America. The company generated over $1 billion in revenues during 2015, and has nearly 400,000 independent sales Representatives in the United States, Puerto Rico and Canada. Avon's product portfolio includes award-winning skincare, color cosmetics, fragrance and personal care products, featuring iconic brands such as Anew, Avon Color, Mark, and Skin So Soft, as well as fashion and accessories. Avon has a 130 year history of empowering women through economic opportunity, and the company also proudly supports the Avon Foundation for Women in its efforts to end breast cancer and domestic violence. Learn more about New Avon and its products at www.avon.com. TERRI & SANDY is an independent advertising agency that brings clients big agency expertise faster, smarter and more cost effectively. Clients include People, Disney, Freshpet, GSK, Gerber, Phonak, Nestlé, and Just Born Quality Confections. The company was founded by former Executive Creative Directors Terri Meyer and Sandy Greenberg, who spent over 20 years in the big agency world. TERRI & SANDY have won virtually every industry award and their work has been discussed and debated on Conan, CNN, Today, The View, Fox News, Access Hollywood and TBS Funniest Commercials. TERRI & SANDY has been named the fourth Most Effective Independent Agency in North America by the Effie Index. For more information visit www.terrisandy.com. Horizon Media, Inc. is the largest and fastest growing privately held media services agency in the world. The company was founded in 1989, is headquartered in New York and has offices in Los Angeles, San Diego, and Chicago. Horizon Media was chosen as 2011 Independent Media Agency of the Year by Mediapost, 2010 U.S. Media Agency of the Year by Adweek, Brandweek, and Mediaweek as well as by Ad Age and as one of the world’s ten most innovative marketing and advertising companies by Fast Company in 2011. The company’s mission is “To create the most meaningful brand connections within the lives of people everywhere.” By delivering on this mission through a holistic approach to brand marketing, Horizon Media has become one of the largest and fastest-growing media agencies in the industry, with estimated billings of over $6.5 billion and over 1,400 employees. For more information visit www.horizonmedia.com.